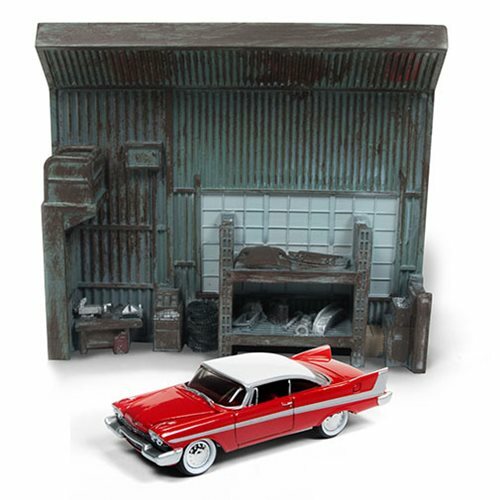 Bring home the silver screen with this Johnny Lightning Silver Screen Diorama 1:64 Scale Case! 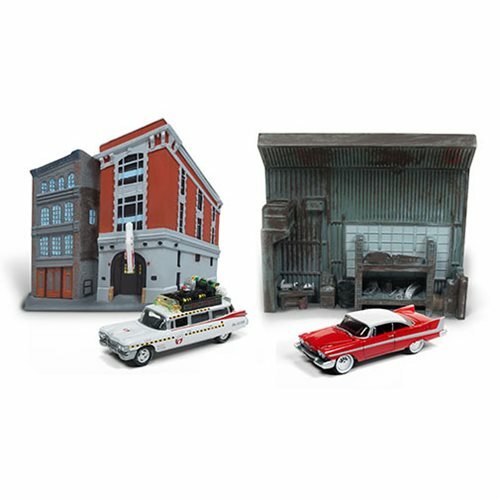 Each pack includes a detailed resin display along with a 1:64 scale die-cast metal vehicle. Fans can now create an environment when they display their Johnny Lightning vehicles! 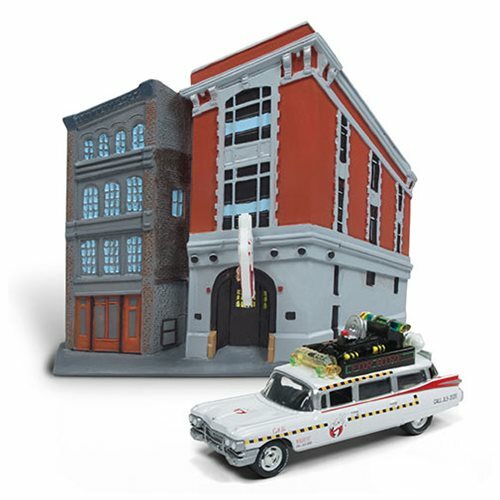 What better place to display the Ecto-1A 1959 Cadillac Ambulance than in front of the Ghostbuster's Firehouse? Where else can you find the possessed car named Christine except in Darnell's Garage?